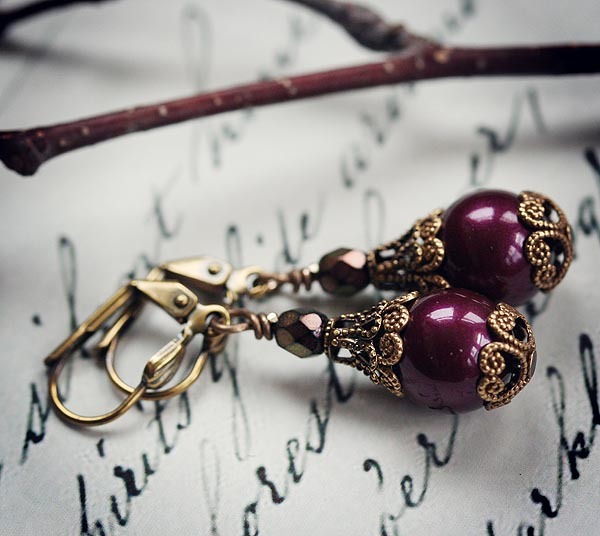 Rich burgundy Swarovski pearls and Victorian inspired detail, this pair of sweet earrings will become your favorite. 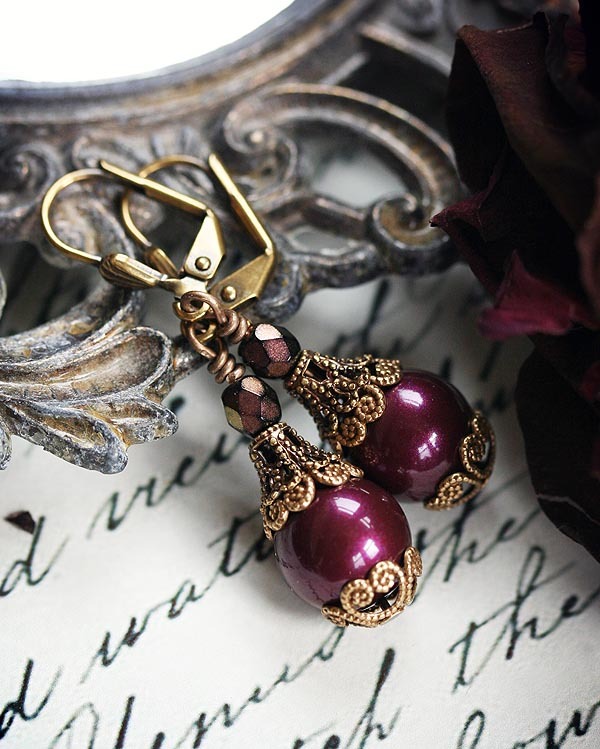 Dark wine Swarovski pearls (10mm) are embellished with layered filigree, antique brass filigree bead caps. Hung from leverback hooks. Very lightweight. 1.25 inches long including hooks.